PC gaming can be an excellent way to spend your free time. However, it can be a real headache when finding whether or not certain games work on your PC or not. 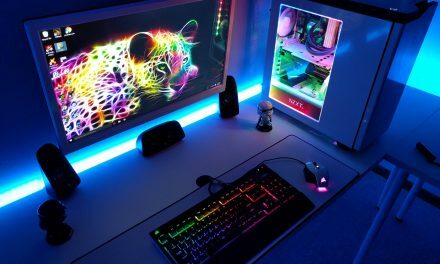 Of course, if your PC has been created for gaming then that might not be much of a problem but this will be difficult if you’ve got a standard issue laptop. Going through specifics to see if your graphics card or processor can be a real task to deal with but this can all be fixed just by taking from the website, Can You Run It. What this website does is it scans your PC to find out whether your machine can handle the game you’ve been wanting to play for sometime. For this, open the website and pick the game you want to play from the dropdown list. Once you’ve done this, click the button that reads “Can You Run It”. A pop-up window will appear with three choices asking you to choose between using a desktop or web app to check your system requirements or to just read the requirements of the game manually. The recommendation from experts include picking the desktop app, installing and running it. This will redirect you to a page at the website along with the recommendations for the game you wish to run on your system. Once you’ve installed the desktop app, you can go back to the site over and over again to check if other games will work on your PC as well.